What's more annoying than getting Canadian coins in change? I always think "Well, there's another coin I can't use in the vending machine to buy Cheetos!" Canadian pennies are OK, though, since U.S. pennies are just as useless, Cheetos-wise. 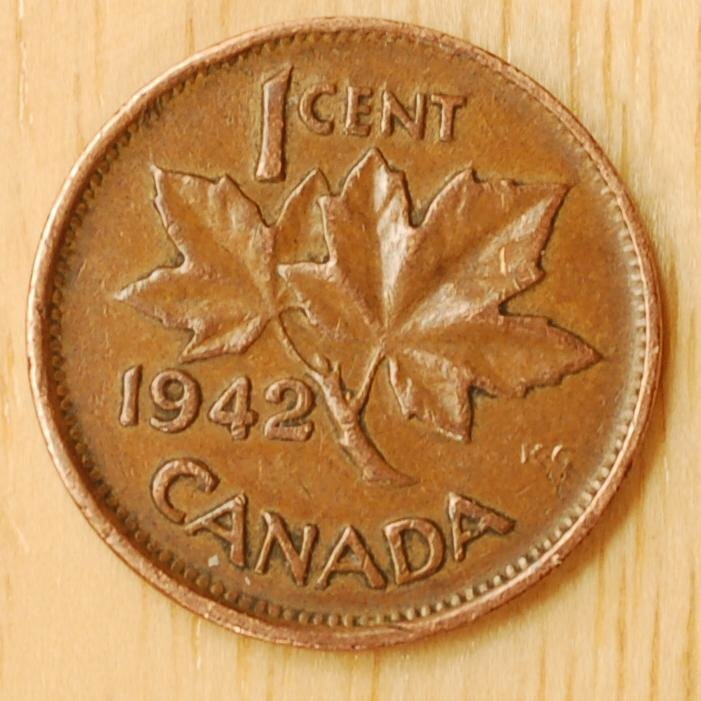 The other day I glanced at my change, and saw the familiar maple leaves -- wait, this is a Canadian coin. Make that "leafs." It looked a little old, but I didn't bother to look at the date. I flipped it over, and saw not Queen Elizabeth II, but King George VI. I flipped it back over again, and saw it was from 1942. I took these photos with our brand-new used Nikon D50, my old Nikkor 35-70 2.8D lens in macro mode, and an improvised light tent made of a table lamp and a piece of white paper. Aperture-priority auto exposure at f/11, +1.0 exposure compensation (the backgound, our kitchen table, was much lighter than the coin, and so threw off the exposure a bit). 3 seconds for the obverse; 2.5 seconds for the reverse. ISO 200. UPDATE: The "KG" on the reverse refers to the designer, George Kruger-Gray. 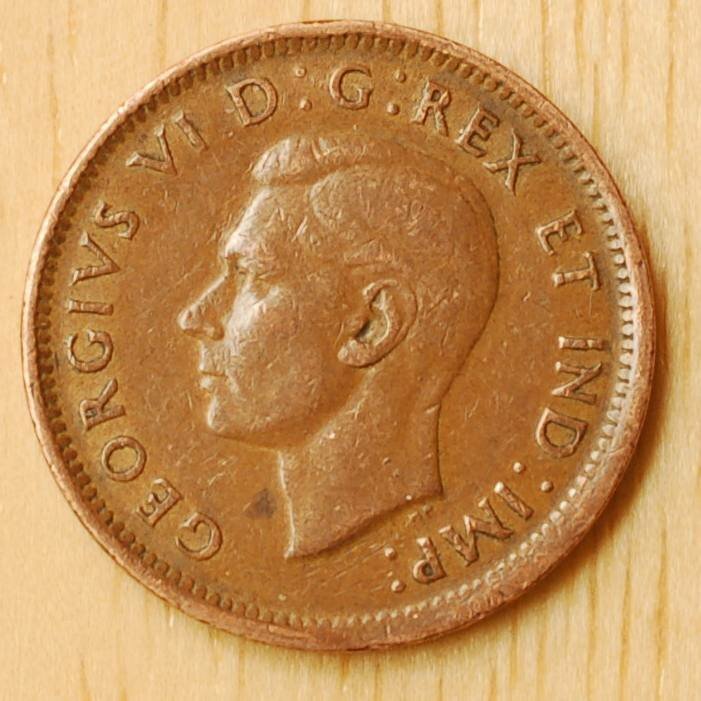 "GEORGIVS VI D:G: REX ET IND:IMP:" on the obverse is for "Georgius VI, Dei Gratia, Rex et Indiae Imperator," or "George VI, by the grace of God, King and Emperor of India." The exact same thing happened to me several months ago, same year and everything.